Detective Hanin has seen some things. 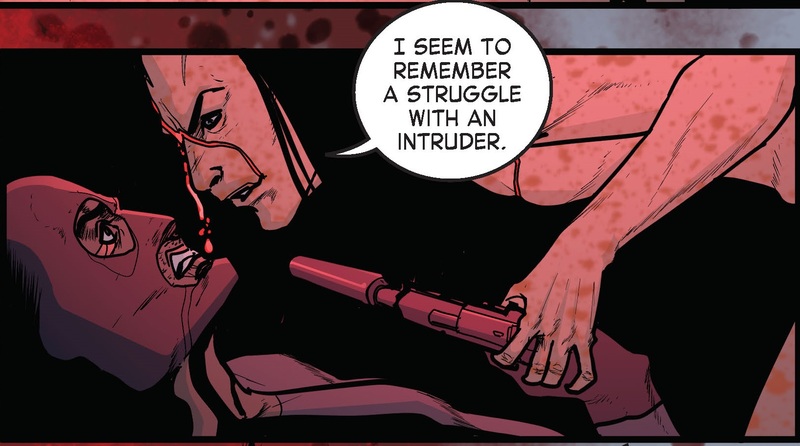 Her mental and physical scars from previous assignments and personal trauma become apparent in the opening panels of the first issue: she’s had a double mastectomy, hardly gives a thought to her appearance, and boasts a roundhouse kick strong enough to disarm a top NICE assassin. But she doesn’t stop there: Hanin has a brutal streak in her five miles wide, and before the masked hit man can get a punch or a word in, she’s pounded his face to mush. Her explanation? Self-defense. The other cops fall for it — but a blood specialist’s curiosity brings him to ask for details. Fascinated, Hanin lets him in on her plans: she’s been researching NICE as an undercover project for years, looking for something… or someone. 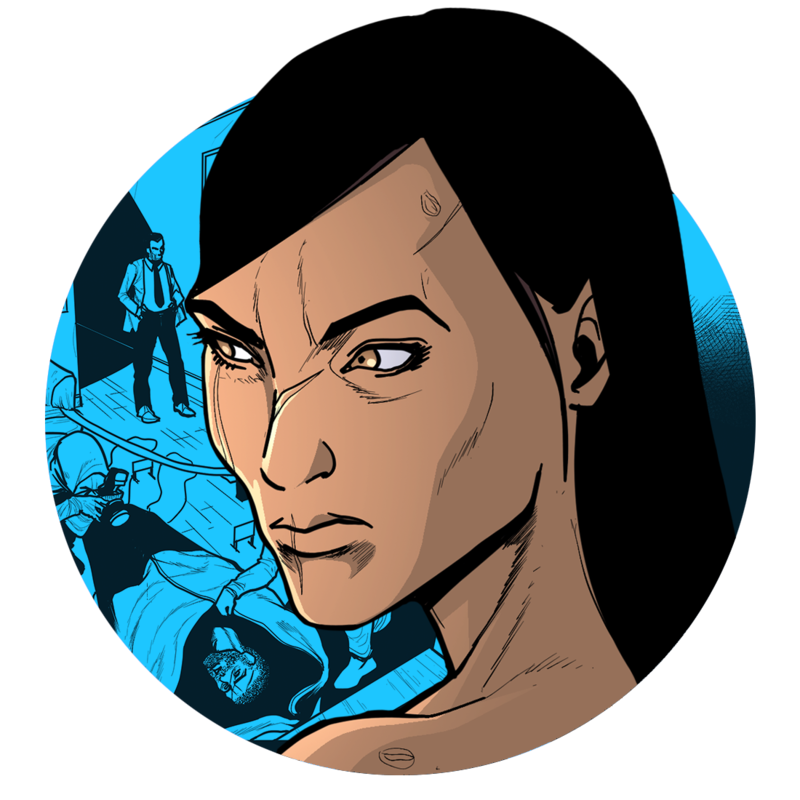 Hanin’s connection to the organization might be more personal than even she knows, and her past is about to be blown wide open.